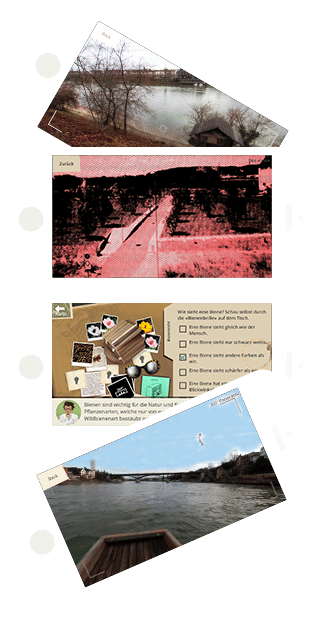 We’re happy to announce our latest mixed-reality game app «Basler StadtNatour», an interactive guide and companion app through the nature of Basel city. For the Stadtgärtnerei (Department of Parks and Recreation) of the city of Basel, we created the «Basler StadtNatour» app that invites users to explore the breath-taking flora and fauna of Basel’s nature. The digital character Jonathan guides you with extensive audio dialogs from the Pfalz over the Rhine river to the Lange Erlen animal park. The app is available for free for iOS in the App Store and for Android on Google Play. Please visit the website www.stadtgaertnerei.bs.ch/StadtNatour for more information.